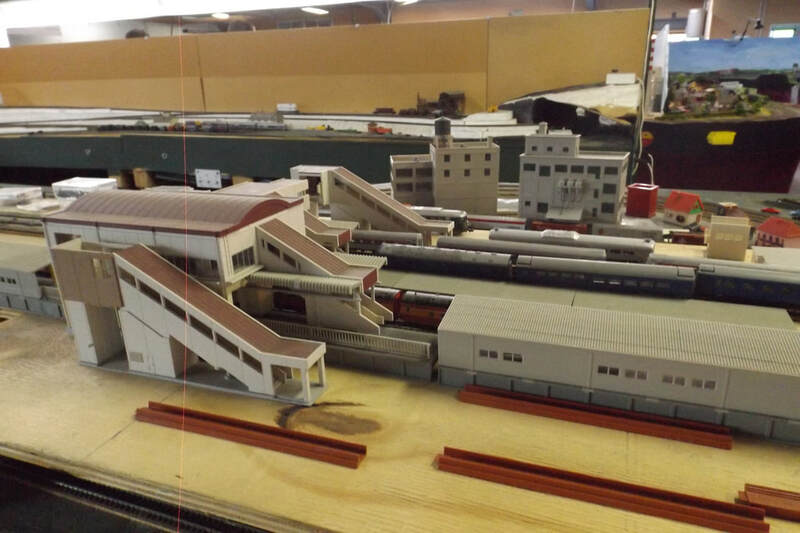 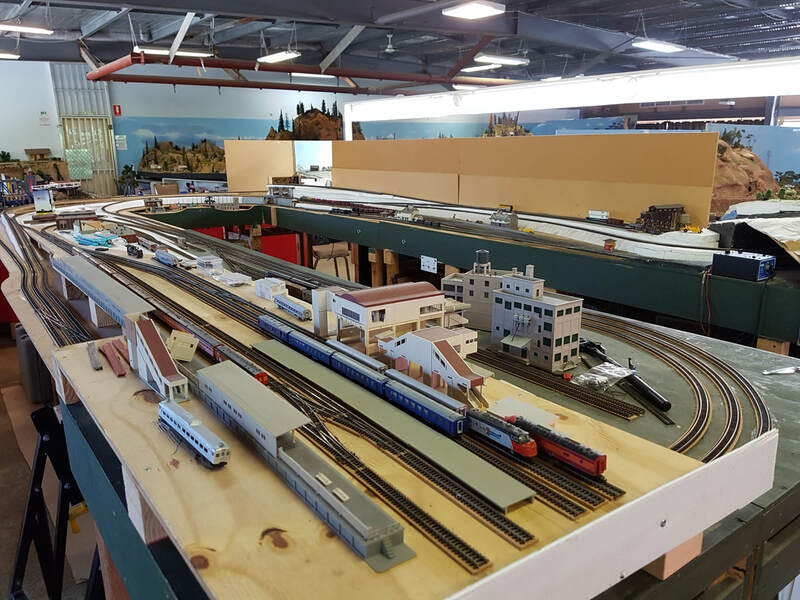 Our N scale layour is about 3 by 4m, with two stations and a number of industries with sidings. 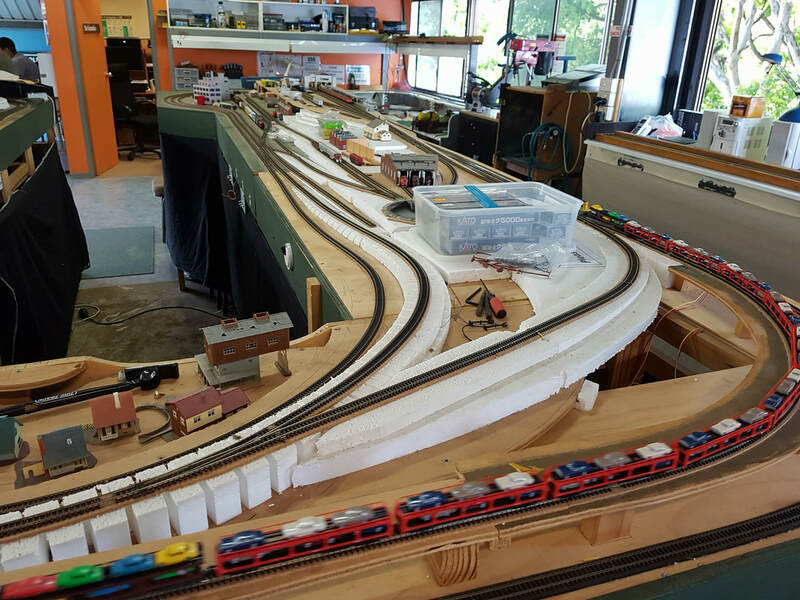 The front section is complete, and as you can see from the photos the back of it has all the track laid - just needs some time to be spent on the scenery. 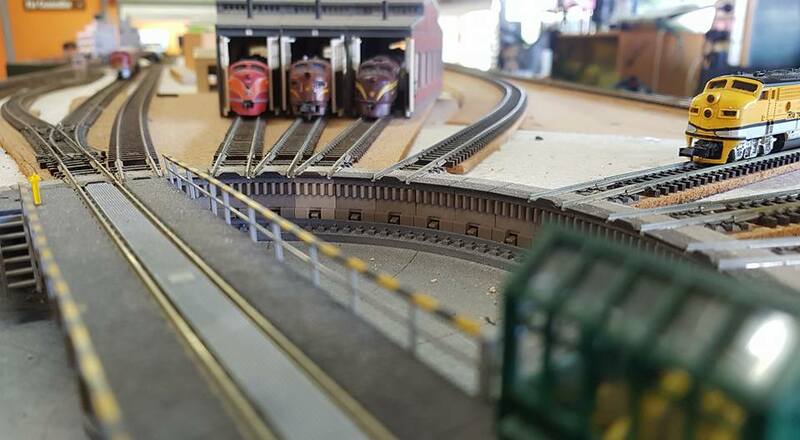 The N gauge layout is a work in progress. 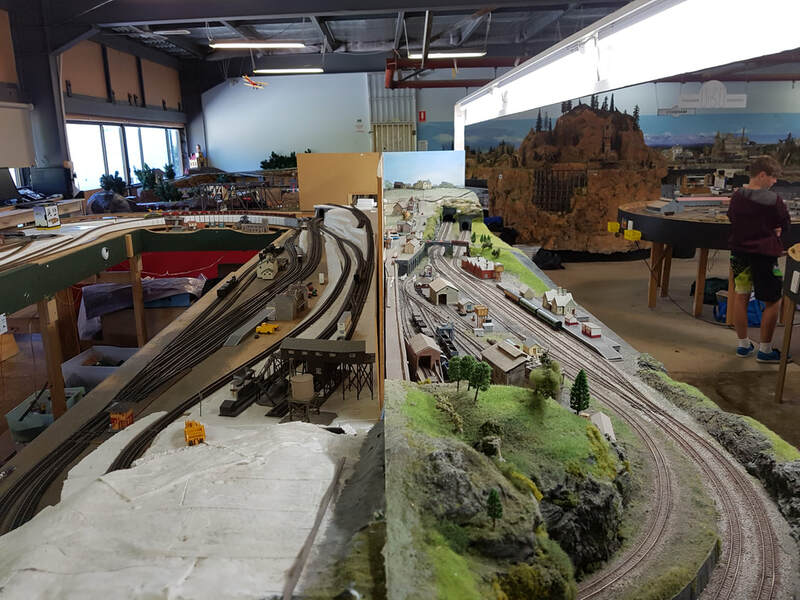 It will be wired for analog and DCC, have two mainline tracks and some branchlines, with a British section, an American section and an Australian (Victorian) section.